How much is that puppy in the window, or when BrewDog comes to town. Breaking news this morning: BrewDog bar to open in Norway. Or, on closer scrutiny: One step closer to one or more BrewDog bars opening in Norway. I’m sorry that I forgot to credit Ølportalen (in Norwegian) as the source for this. Three Norwegians have secured a franchise agreement with BrewDog, establishing BrewDog Bar AS. They will not run the bars themselves, but in McDonald’s style deliver everything. Beer engines, interior design, cash registers .. and beer. Two of the three investors are involved in newly established 7 Fjell Bryggeri in Bergen, which is rapidly making a reputation for high quality beers. They are distributed nationally by Cask Norway, who also distributes BrewDog along with other acclaimed breweries from around the globe. I am not in the restaurant industry, and I am no accountant, either, so I cannot give an economic analysis of this venture. Of course BrewDog is a familiar name in Norway, Cask Norway has done a great job, getting their beers on the supermarket and Vinmonopolet shelves in remote outskirts of the land. The market is also ready for trendy beer bars appealing to the younger crowd – there are a number of them already, at least in Oslo. But on the other hand, there are some extra obstacles around here. 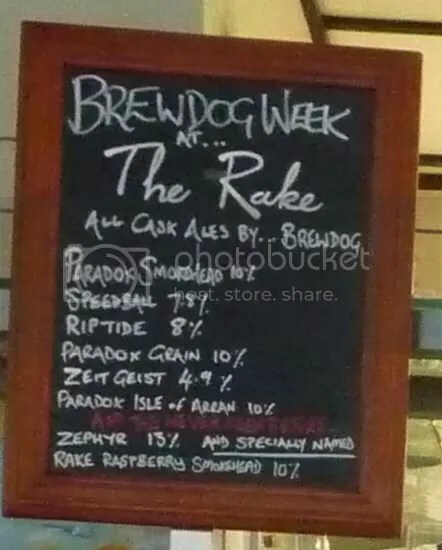 They cannot name it BrewDog. The rest of the graphic design also has to be toned down to follow the rather draconian Norwegian legislation when it comes to advertising alcoholic beverages. Pump clips seem to be all right, but apart from that they have to limit themselves to a clinical list of the beers on offer. This means that a lot of the promotional effect of using the well established brand name will be lost. The concept of these bars is expensive beer in small glasses, even in markets where beer is cheap compared to Norway. If you add an extra link in the supply chain – the Norwegian franchise holders – and top up with Norwegian taxes and Norwegian wages, the cost of a beer could be astronomical. They could go for low rent neighbourhoods, playing on the rough, no frills style of their bars. OR they could go for the other end of the market, finding prime spots where the customers don’t worry too much about the prices. I have followed, with amazement and amusement, the BrewDog penomenon from its early days. I have enjoyed (most of) their beers, and I have praised them on this blog before they became a world famous brand. I welcome BrewDog Bar to the Norwegian scene. I doubt that their bars (singular or plural) will be my favourite hangouts. But, as I wrote about Mikkeller Stockholm recently, all beer bars or pubs do not need to appeal to all discerning beer drinkers any more. There will be niches for various segments – and we old-timers will have to adjust. What a luxury! I knew there were Portuguese craft breweries. They have Facebook pages. They are in the ratebeer data base. But they all seem to be located between Lisbon and Porto. And I was nowhere near Lisbon or Porto, but on the southern Algarve coast. There was nothing in the immediate area, so I had to cast my net a bit wider. 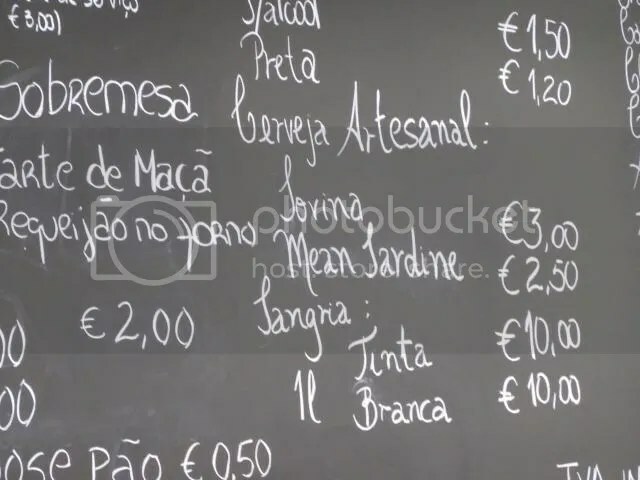 An exchange of e-mails with the Mean Sardine brewery informed me that they had only one outlet in the south, a place called Algarve and friends in the town of Alvor. I tried to google this establishment, but with no result. Anyway. I needed to rest my skin a bit from the sun, and Alvor was just 40 minutes away on an air conditioned bus. If I did not find the place, I could surely have lunch there before returning. Alvor seemed like a fairly typical holiday resort, quiet at midday, but offering plenty of options in the evening. When the bus approached the town, a banner proclaimed the All day 90 cent pint, while a more classy place across the road was charging a Euro. A brief survey revealed a fair number of Irish pubs with and without resident troubadours. After a stroll through town I found the Praca de Republica, and Algarve and company turned out to be a cafe/delicatessen, promoting craft produce. 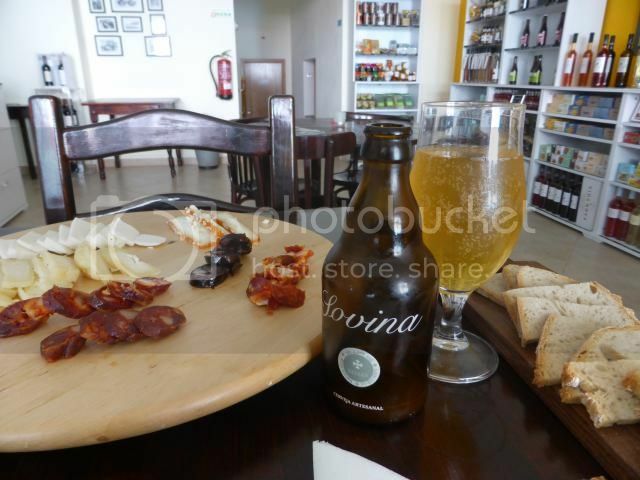 Cheese, sausages, wine, honey, tinned tuna and sardines … and a number of beers. I order a (very nice ) cup of coffee and looked around. The beers are from two Portuguese Micros, Sovina and Mean Sardine. Nuno Miguel Vieira Dos Santos runs the shop. I tell him that I tried to look it up on the web. He apologizes, and tells me the reason is that he has been far to busy. He actually opened the same week I visited. That also explains why there is a steady traffic of people with various foodstuff, handing over samples for him to try out. I try an amber ale from Sovina. Hazy amber, lively carbonation. Malty aroma, some funk and barnyard, Belgian yeast character. Cereals and sweetness, very pleasant. My lunch is a plate of assorted cheeses and cured sausages, which are all very good. Some are chorizo-style with paprika, but the pepper is not very strong. I get an extra side dish of two types of blood sausage, one of them made with rice. A rich sweetness which show how honest food does not need to taste of more than its ingredients. With this I try a Mean Sardine Amura, an American pale ale. This is clear amber, with a fluffy head and a flowery aroma. The flavor is bittersweet. Malt and bitter herbs, some eucalyptus. Well crafted, by no means extreme. I fill my backpack with sea salt, honey, almond cakes, beer, tinned sardines and anchovies. Surely a place to return to. Easy to find, across the street from the Alvor tourist office. 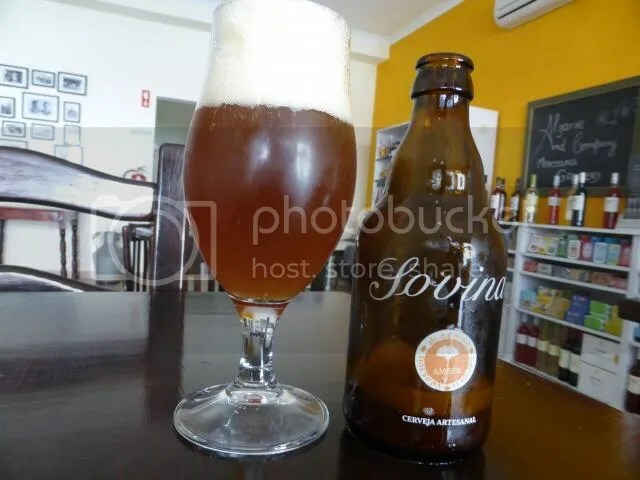 If you want to explore the wonderful world of Portuguese craft beer further, here is a list of Cerveja Artesanal Portuguesa. 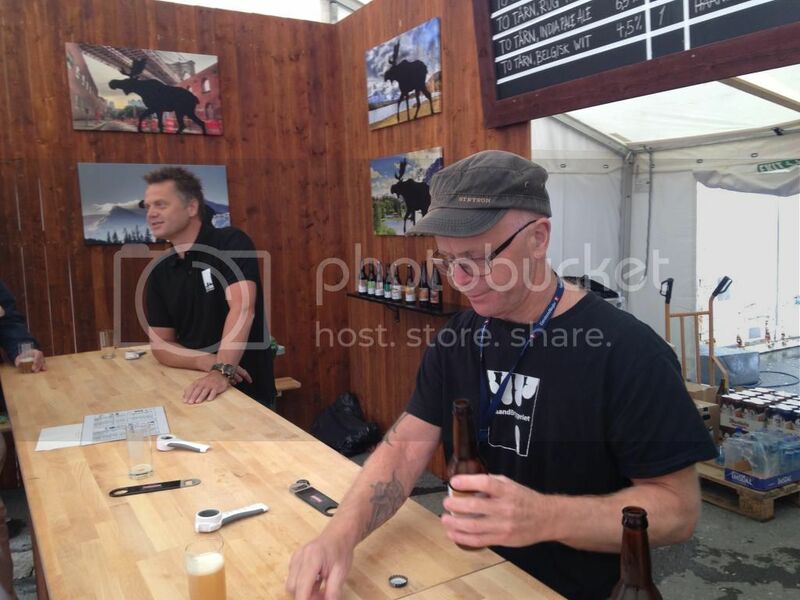 There were lean years when there were no beer festivals in Norway whatsoever. Now it’s difficult to keep track of them all, and I do not have the time or resources to visit more than a few. Luckily my old home town Trondheim has one of the most interesting events. Trondheim beer festival, or Bryggerifestivalen i Trondheim to use its official name, has established itself as a great place to visit in just a few years. It is a part of a bigger regional food festival taking place in the first weekend in August, showcasing fruit and vegetables, game and fish, cheese and sweets. This far north, this is when the vegetables are in their prime, the berries and fruit are beginning to ripen. And in the middle of this, the beer festival is evolving. 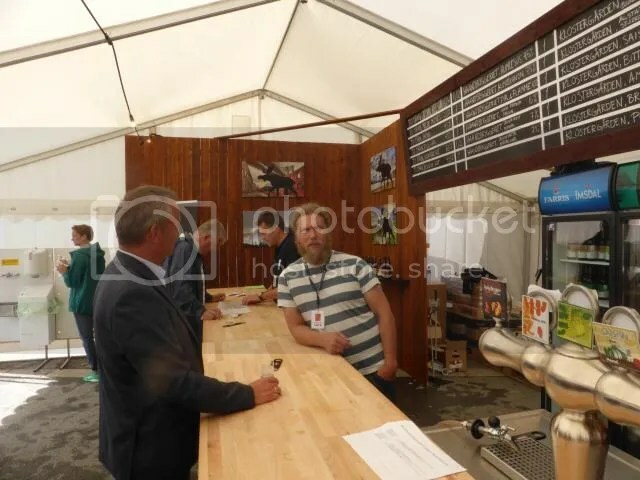 This year they had a custom built long wooden bar, plenty of seating both in the sun and the shade – and loads of good beer. Some of the national breweries are there, Kinn, Haand and Nøgne Ø – but most interesting are the beers form the smaller producers. They were close to cancelling the beer part of the festival just a month ago, as an official in the city administration refused to give them the necessary license to buy in the strongest beers. When this was know, there were several politicians from both the local and the regional level cutting through the red tape. This has become an integrated part of the annual celebration of the regional food culture – beer is finding its proper place alongside other food and drink. 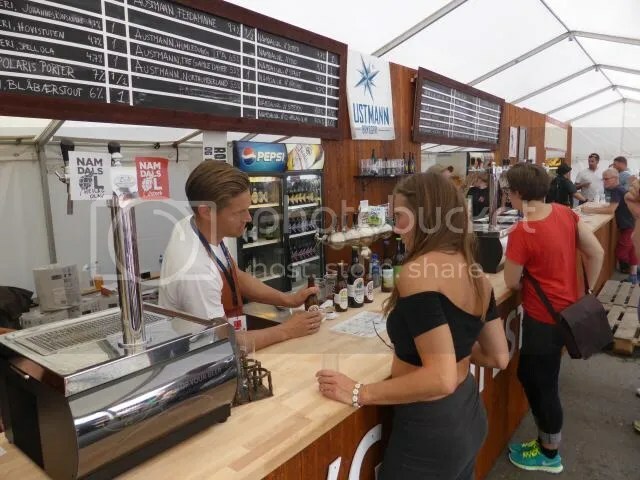 Several breweries manned their own parts of the bar, meaning this was a great possibility for the public to talk the the brewers – and for the brewers to get spontaneous feedback. 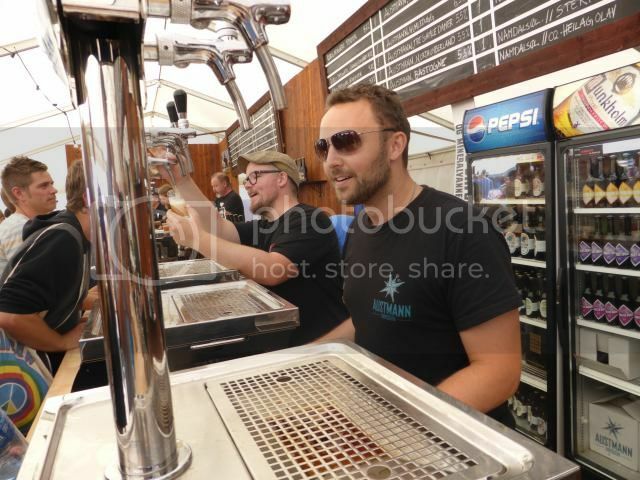 Alongside the professional brewers there were volunteers with ample knowledge of beers. And they had a splendid range to choose from. Along the medium strength beers there were a few barley wines, but, showing how the low alcohol trend continues, also a number of milds. Two types of traditional Stjørdalsøl made with home made smoked malt. Very appropriate in the sunny weather were some very refreshing saisons from Klostergården and Namdalsbryggeriet. There were also authors of beer books promoting their publications. New breweries were present, most prominently Namdalsbryggeriet, started just before Christmas. To say something about the speedy changes, Austmann, who made their debut last summer, is now one of the established breweries in the region. To Tårn has been around a bit longer, but they did not attend the festival last year, so they made their debut in this context. 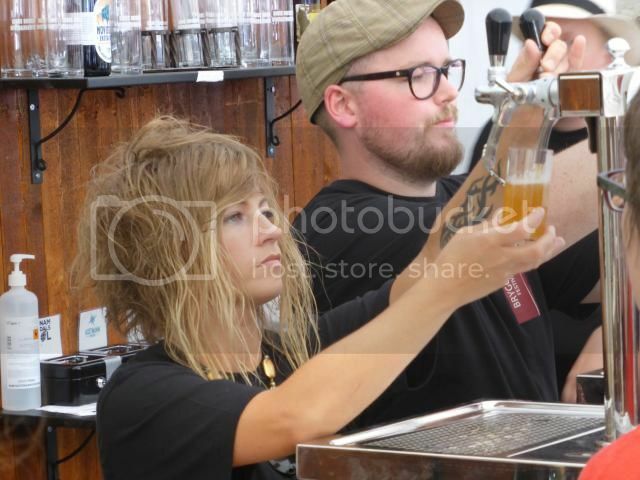 Røros Bryggeri has focused on beers with a broad appeal – they sold out their special oaked festival beers very fast. Rein Drikke were also newcomers with highly drinkable session beers. Add sunny weather, no entrance fee, moderate prices for most beers. A dozen Norwegian breweries represented, half of them from the region. I was happy to meet new people from the breweries, I hope to get back to some of them on the blog later. I am sure there are ways to develop the concept even further, and I have no idea about the economical side of the event. But I will do what I can to attend next year as well. Maybe I’ll even volunteer for a session behind the bar.